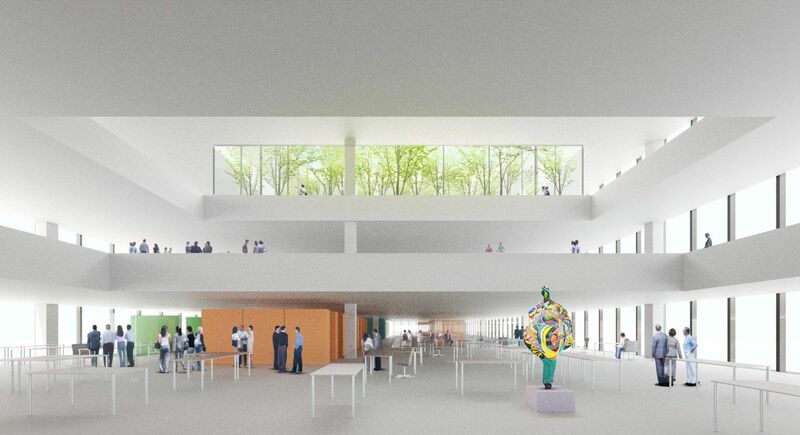 DCA was shortlisted to present a design proposal for the new headquarters building for Le Monde in Paris. It was the aim of Groupe Le Monde to unite its activities under a single roof in the centre of Paris. It is the aim of Groupe Le Monde to unite its activities together under a single roof in the centre of Paris. 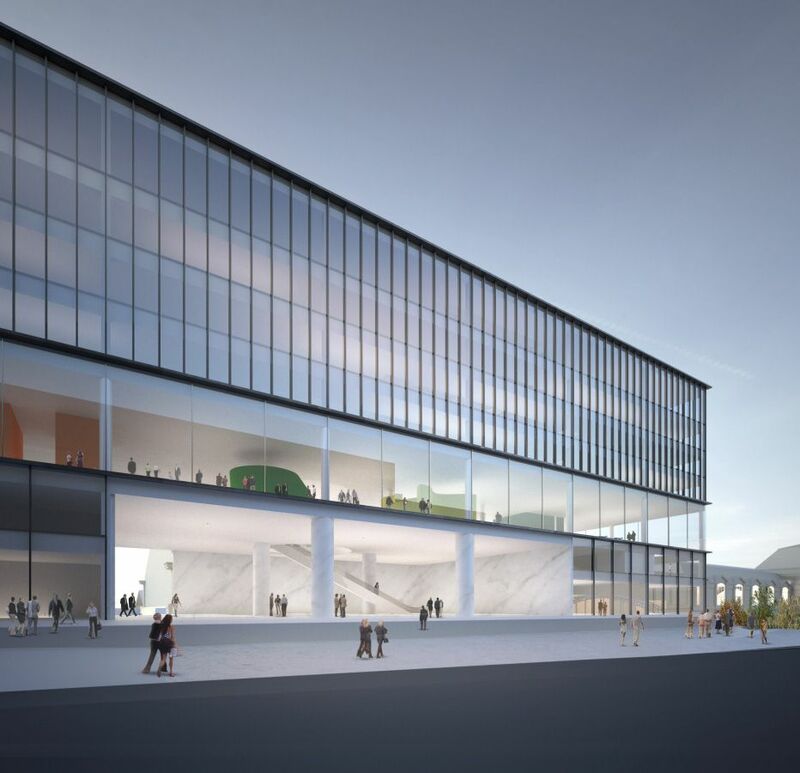 The proposed site is one part of a wider masterplan for the area adjacent to the Gare d’Austerlitz. The masterplan calls for a series of individual blocks resting on a single plate above newly-created railway tracks. These blocks are distributed so as to allow for clear views though them in the direction of the River Seine. The Le Monde site comprises two of these blocks at the northern tip of the site. It is hemmed in by a proposed bridge across the railway tracks on its southern edge in line with the central dome of the Hôpital Pitié-Salpêtrière, and the public square in front of Gare d’Austerlitz to the north. A subtle change in topography gives the plate a raised appearance at the north-east corner, elevating the Le Monde site above the road that runs parallel. The two proposed blocks, equally separated and continuing the rhythm of the masterplan, do not align with any existing urban view corridors. Nevertheless, it is important to note that their separation accommodates access for fire engines to the station. 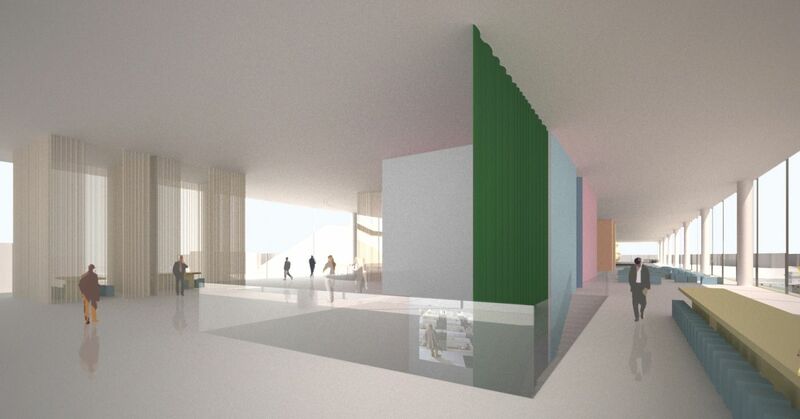 Strongly adhering to Le Monde’s desire to unite under one roof, our proposal is to create a single building. 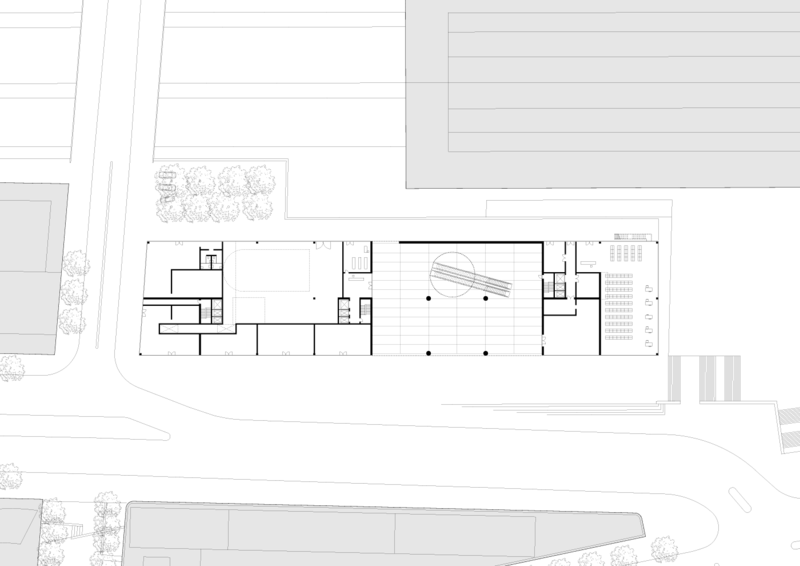 As a single rectilinear bar, it mediates typologically between the relatively smaller buildings of the masterplan and the covered sheds of the railway station. At ground floor level (plate level), however, the block will remain separated. 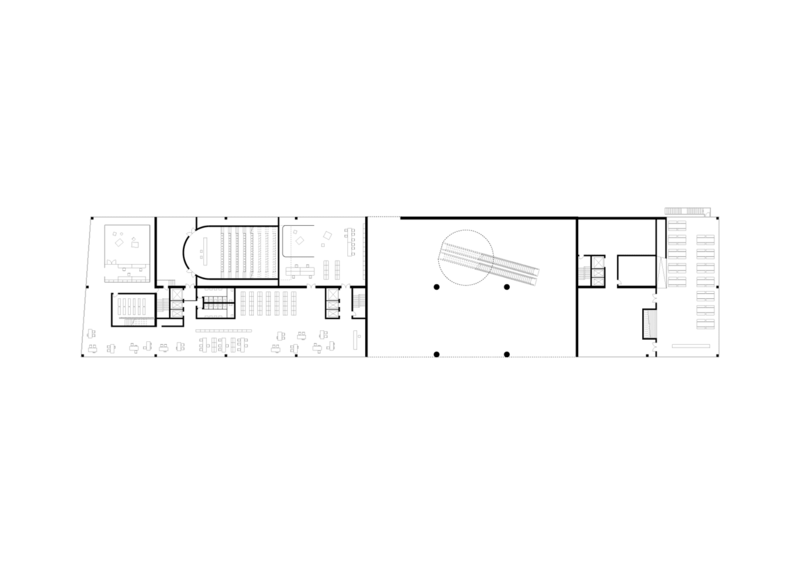 The ensuing space thereby created is best described as an ‘urban room’. This outdoor room lined with polished marble provides dramatic access for staff and visitors into the heart of the new headquarters building, while also retaining the required fire engine access route. This room of urban proportions will have a special status as it is within the boundary of the property and yet open the public at large. 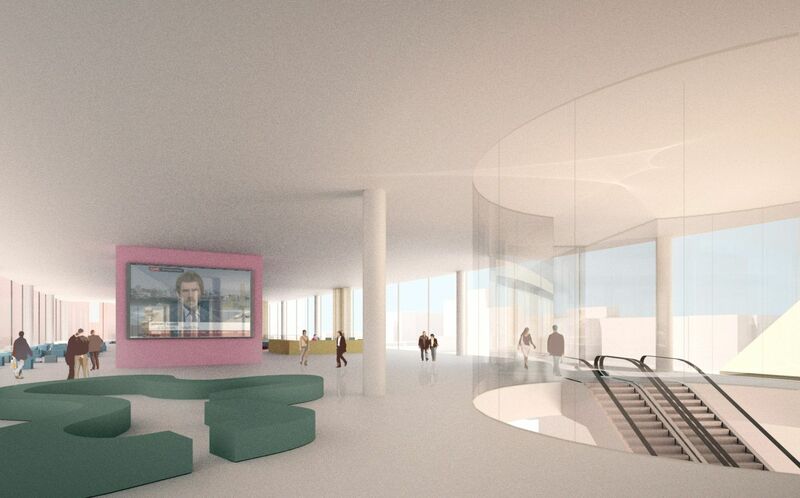 This gesture will form a strong statement of engagement with the city – a key theme throughout the headquarters project. 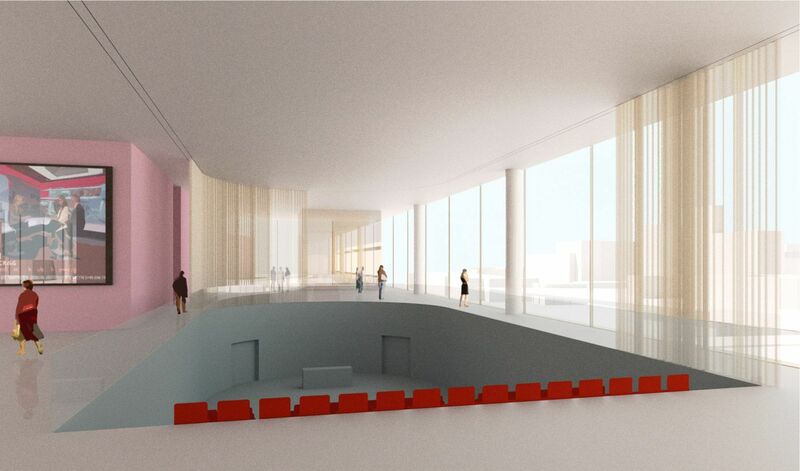 Within the ‘urban room’, grand escalators carry the user up to the public floor, over 8 metres above ground level. As the space where Le Monde meets the world, this floor is entirely dedicated to interaction between its staff, guests and readers. On the one hand, it creates a single space where all the various titles within Groupe Le Monde can interact and organise events; while on the other hand, offering the opportunity to receive the general public in a grand foyer. 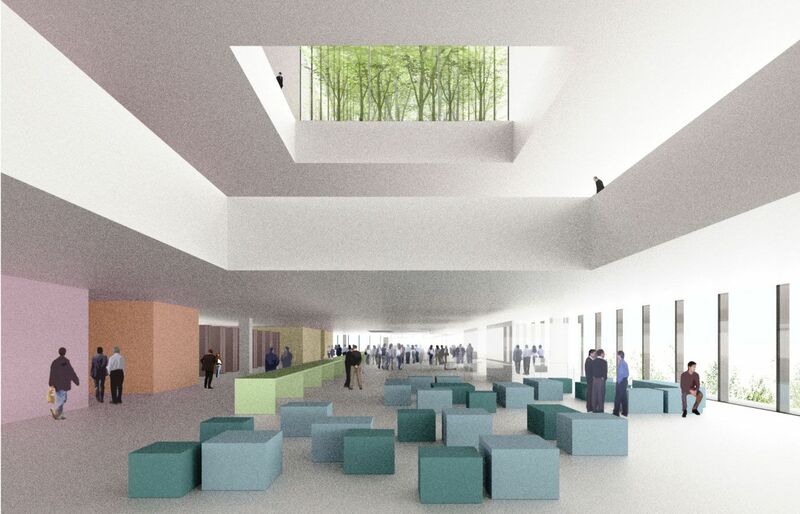 It will house a reception, the required staff canteen (seating 350 people), meeting rooms, a reading area displaying all of the group’s current publications, space for exhibitions, a generous amphitheatre and a projection space. The canteen is placed on the northern edge of the building overlooking the animated public square in front of the station. The amphitheatre is partially sunk into the floorplate and screened off from the surrounding space by heavy curtains. 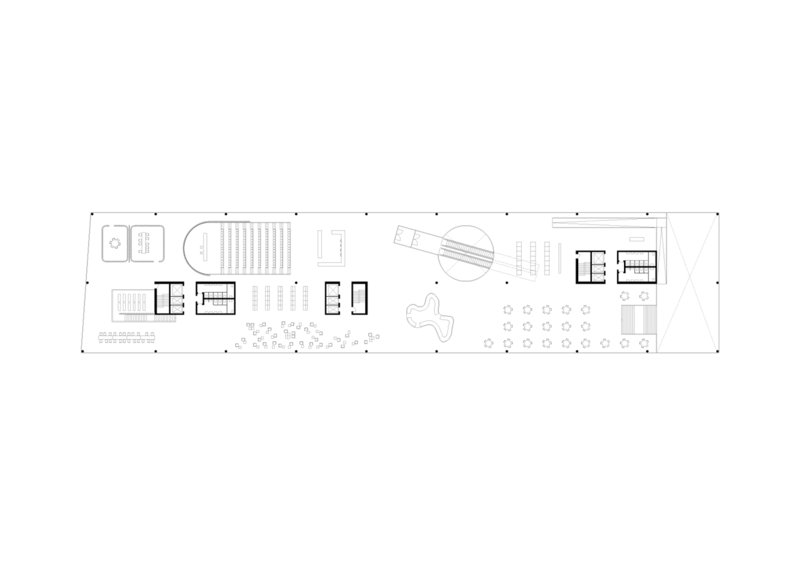 The general idea of this floorplate is to be perceived as a partially excavated landscape further inhabited by a series of transient and freestanding objects rather than rectilinear partitions. The open and transparent atmosphere of this space is both experienced internally and clearly perceived from the outside. Although the building operates as an office building, this floor is conceptually emblematic for Groupe Le Monde. 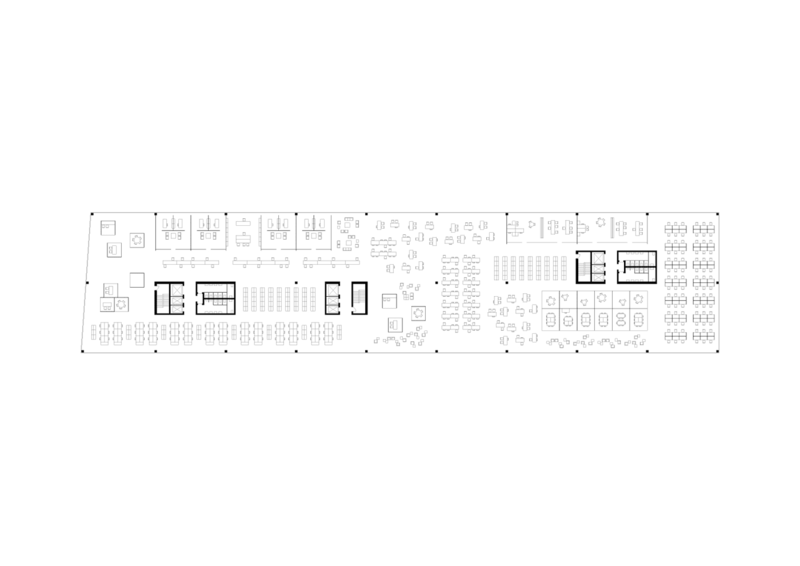 The floor below (first floor) is partially occupied by the aforementioned excavated spaces of the public floor, and will further house a green room for the lecture hall, a video room, a radio studio, kitchen, storage and all required technical spaces. 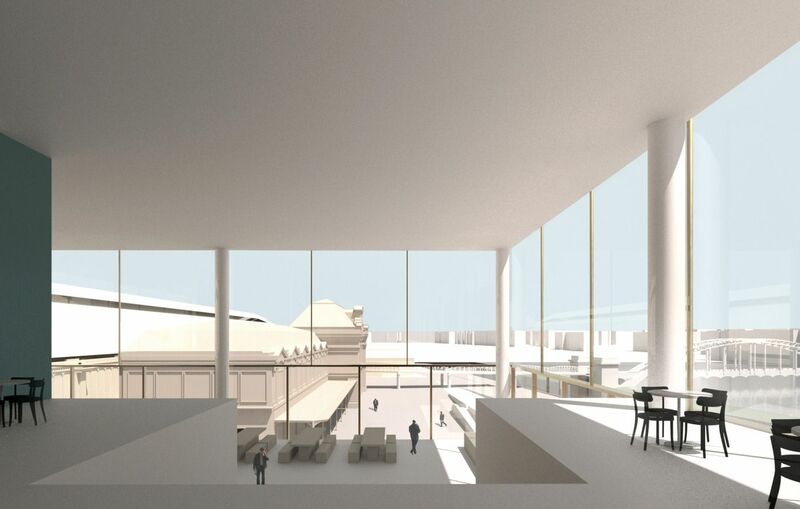 The ground floor will mainly accommodate a delivery area, a post room, general archives, retail spaces and plant. 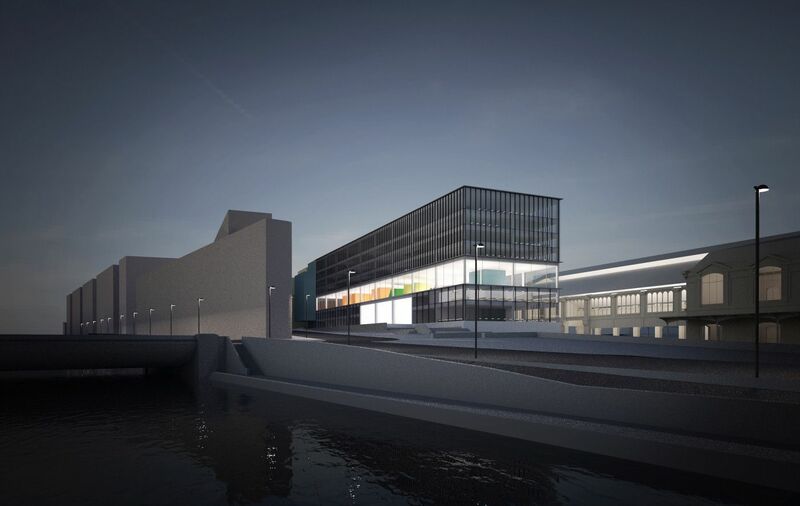 The ground floor scheme also proposes an alternative access route for fire trucks to the station, creating a circuit by entering the site from the proposed bridge (in line with the hospital) and exiting through the marble-lined ‘urban room’. The access road between the south-west façade of the building and the station will also serve deliveries, refuse collection etc. 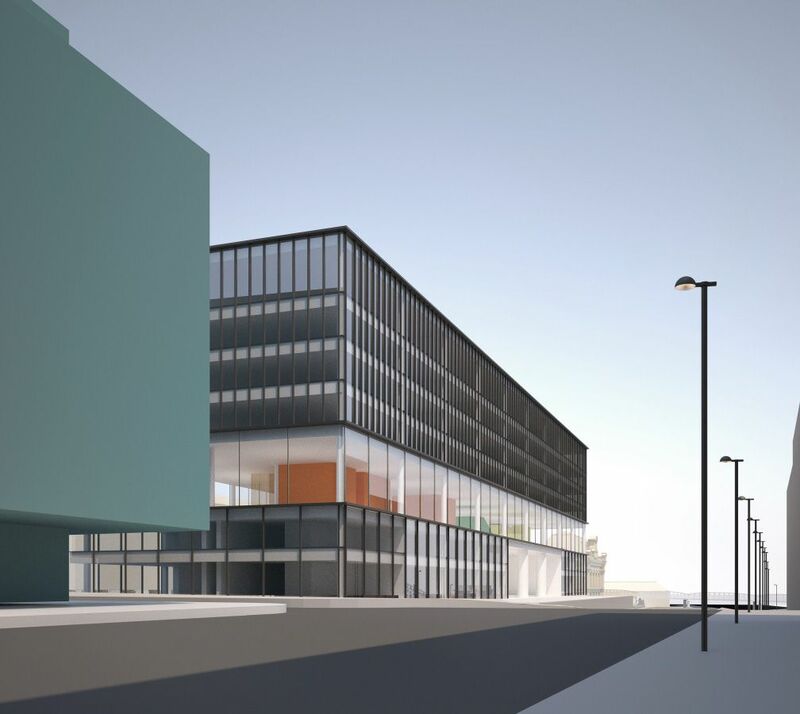 The four floors above the public floor will be entirely occupied by office space, with a mixture of open plan and cellular workspaces to be allocated and developed with the client in the future. Two courtyard gardens are sunk to a depth of two levels below the roof. While the top two floors overlook the gardens directly, carefully placed breaks in the floor plates of the levels below will allow uninterrupted views up to the gardens and through to the sky above, thus improving the quality of light and working environment for all four offices. While the typical (ordinary) office floors at the top provide little more than regular articulation on the façade, the external appearance of the building is completely dominated by the semi-transparent public floor hovering above the void of the urban room at ground level. This element brings the internal animation of the building to the fore, creating a dynamic façade which contributes to the streetscape and promotes the activities of Groupe Le Monde in its new location.